HERE IT IS! Remodeled Low Maintenance Living! Location, Location, just north of Quail Springs mall & the new Lifetime gym! 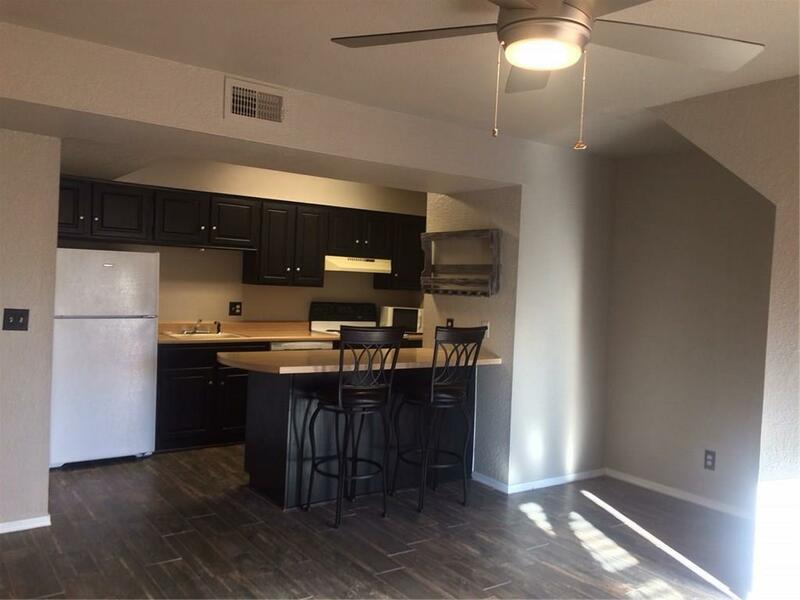 Updated Lower unit at the front of the complex with carport directly in front! This home has new tile (Gray wood look) in Living, Kitchen, and bath. And new carpet in the spacious bedroom. This home also has a Beautiful wood burning, stacked stone fireplace in living. The bath has dark Granite counter top with new faucet. The Kitchen includes a refrigerator, microwave and a laundry nook with stack able washer & dryer. The HOA offers gated entrance, water, trash, roof, siding, fencing, ground and pool maintenance, & basic cable. Lower updated one bedroom units with close parking doesn't come up everyday! Schedule your showing today!